Refrain: The year of jubilee is come! The year of jubilee is come! Return, ye ransomed sinners, home. 6. The gospel trumpet hear, the news of heavenly grace; and saved from earth, appear before your Savior's face: The year of jubilee is come! The year of jubilee is come! Return to your eternal home. Thank you for visiting our traditional hymns web site. Our desire is that you will grow closer to the Lord by singing and worshiping with these traditional hymns. 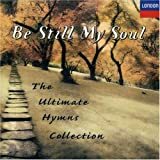 There are many traditional hymns in the public domain so you can download and enjoy as you like. Let's praise the Lord together!